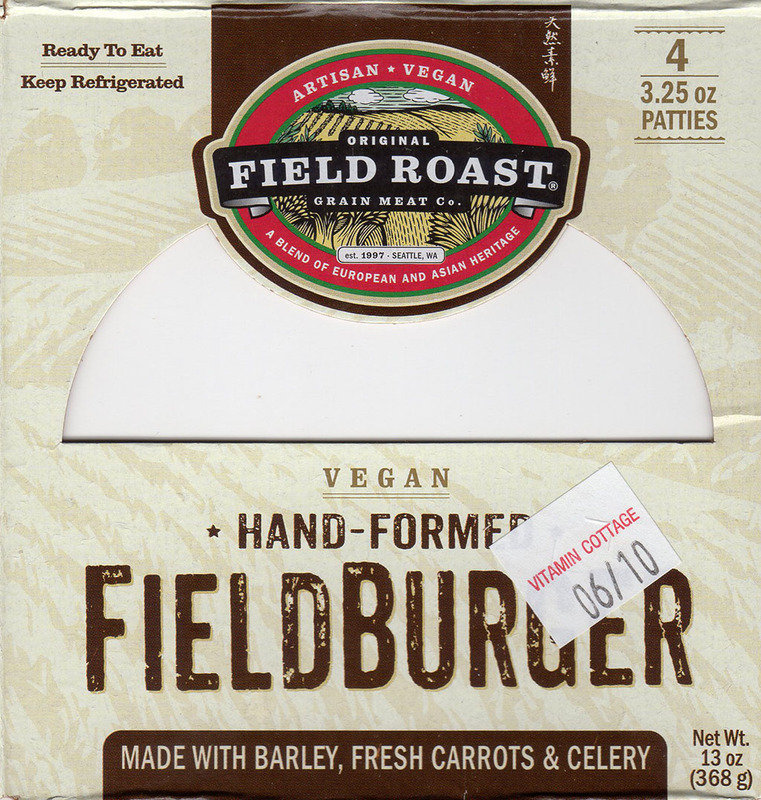 Are Field Roast FieldBurgers any good? Absolutely! 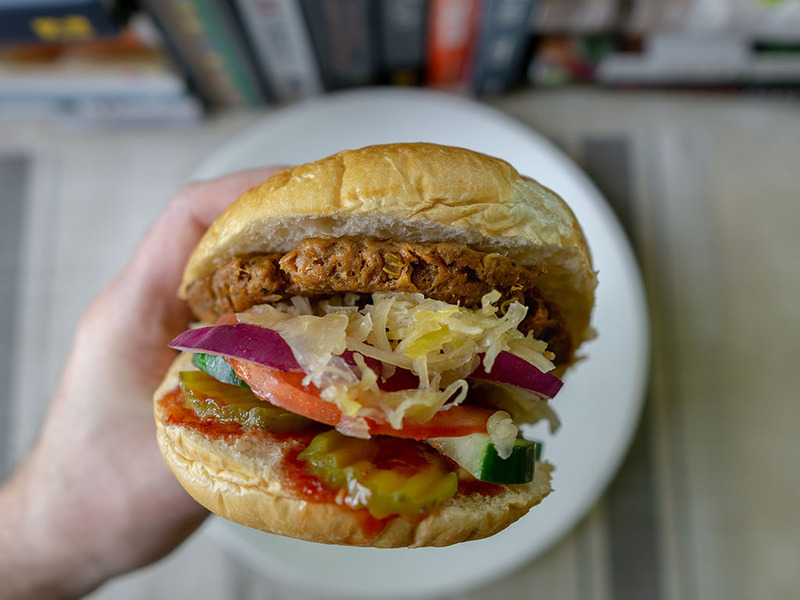 These are one of our favorite meat free burgers on the market today. 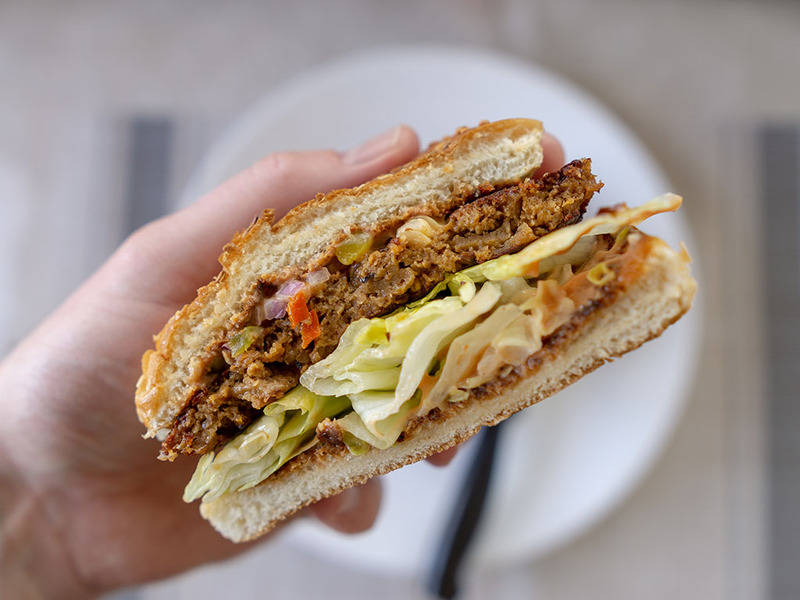 In contrast to some other brands that seek to emulate a more processed meat texture, these burgers are noticeably made from vegetables and grains – and still possess a great texture. As opposed to some of their contemporary competitors, Field Roast take a slightly different approach to their meat free products. 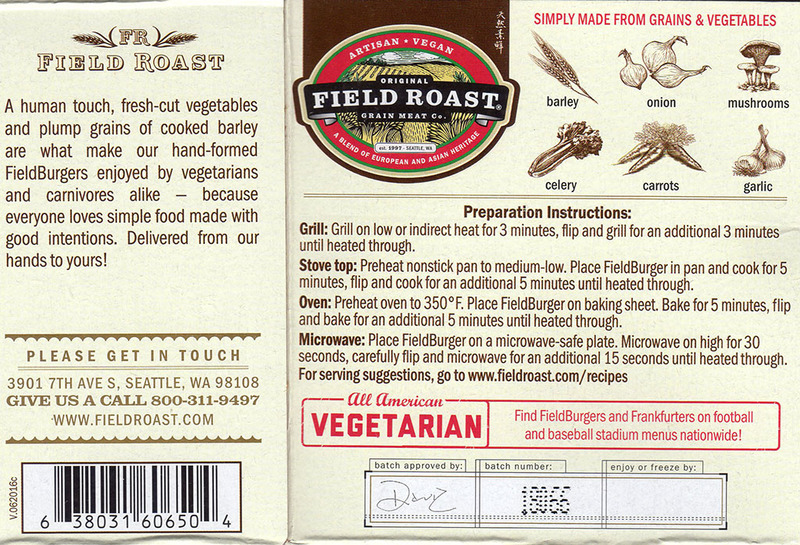 Unlike Beyond Meat for example, who seek to emulate traditional meat products very precisely, Field Roast products are noticeably made from recognizable ingredients: barley, onion, mushrooms, celery, carrots and garlic. Take these FieldBurgers for instance, once unwrapped you can see the small chopped up veggies like carrots that comprise these burgers. There’s something a little more nourishing and relatable for me as a result. Taste wise I am a huge fan of these burgers. The direct ingredients shine through in each bite where it’s obvious and identifiable what you’re eating. Again, unlike a MorningStar Farms or Beyond Meat patty that are both highly processed. Don’t get me wrong, I like both of the latter, but I ever so slightly more prefer these Field Roast burgers. That might be something to do with the rich mouth feel from the heady fat content though – see below. 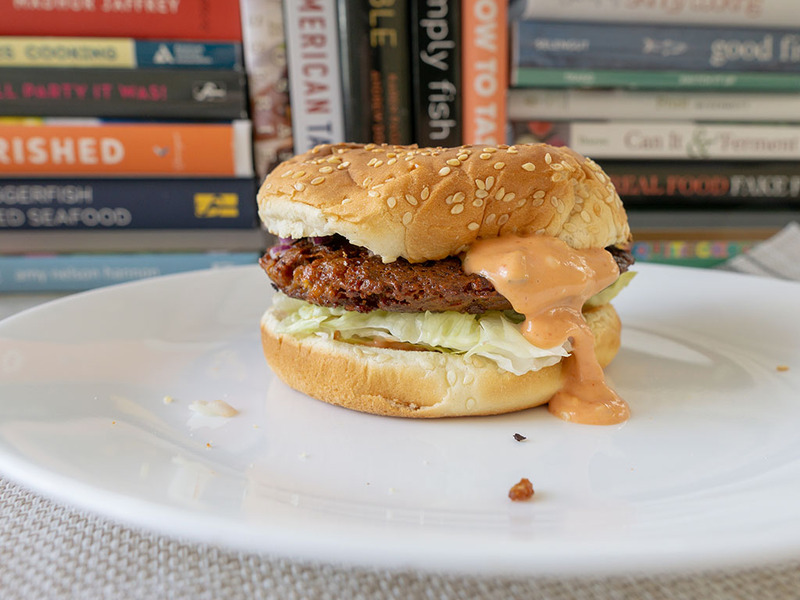 Right now, I’m going to go as far as saying these are my favorite meat free burgers on the market. Inside the cardboard box comes four 3.25oz burger patties shrink wrapped. 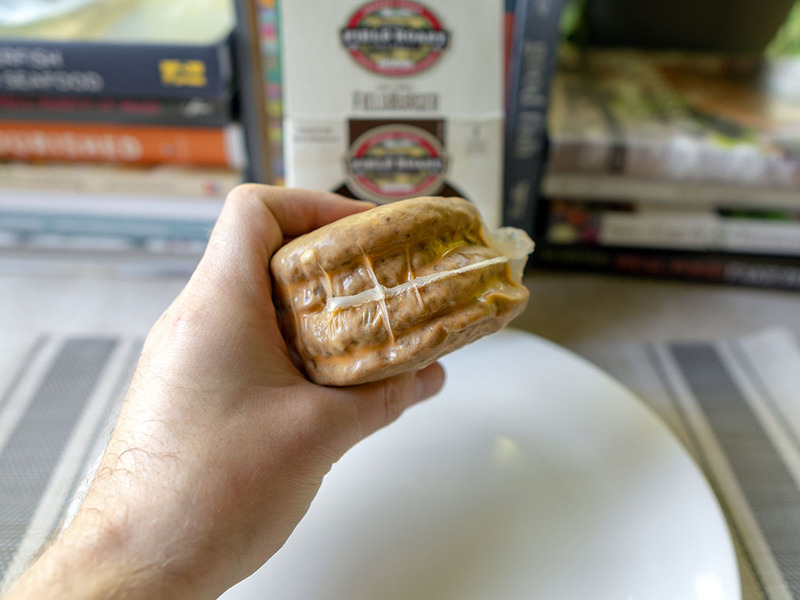 All four burgers come wrapped in one package that means once you open the plastic you’ll want to have plans to eat them pretty quickly. 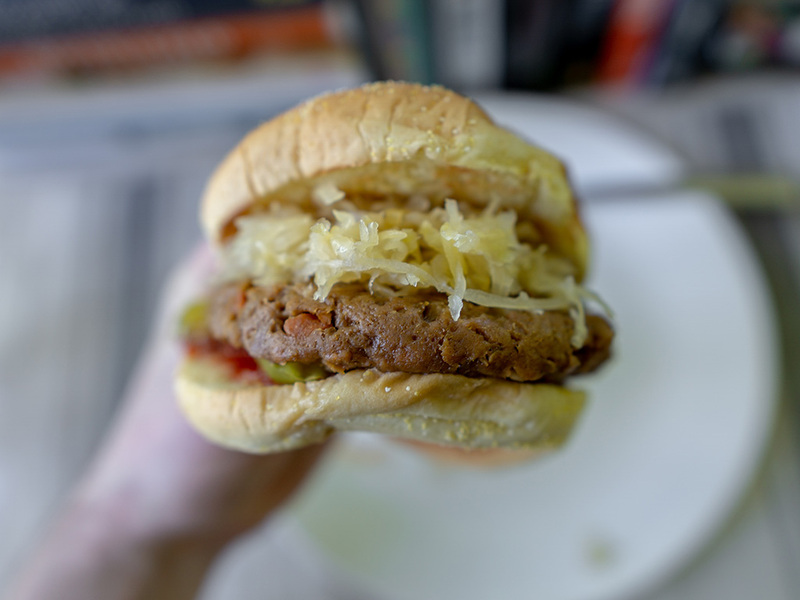 That said, the packaging does note these burgers start life frozen, and can be refrozen – so you’d be o.k. to individually re-wrap and freeze them if you want. 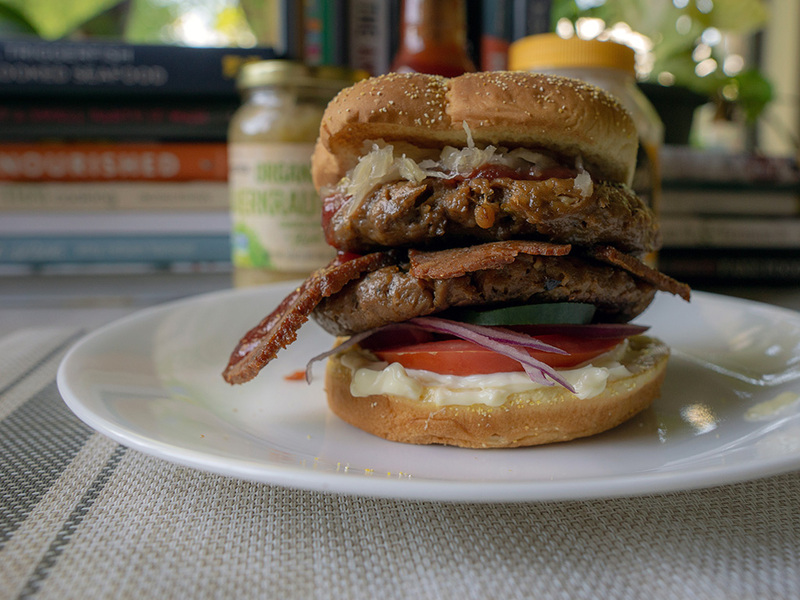 Here’s a FieldBurger directly from the frying, followed by a simple burger creation and cross section. 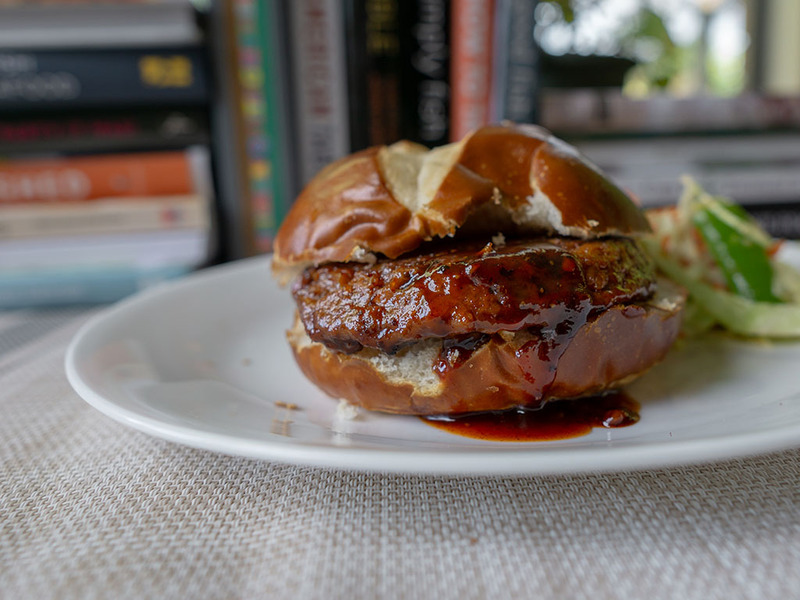 Scroll down for my burger ideas using FieldBurgers. These are very versatile burgers. For my first run through with the FieldBurgers, I pan fried them in a little olive oil at high heat for a couple minutes per side. They took on a wonderful char and crisp, so much so I think they’d be equally great on a Summer grill outdoors. They fare just as well in the microwave if you want to save a few calories and time; but I should note, the longer they cook they do start to become a little limp and fragile, so be careful with overcooking. 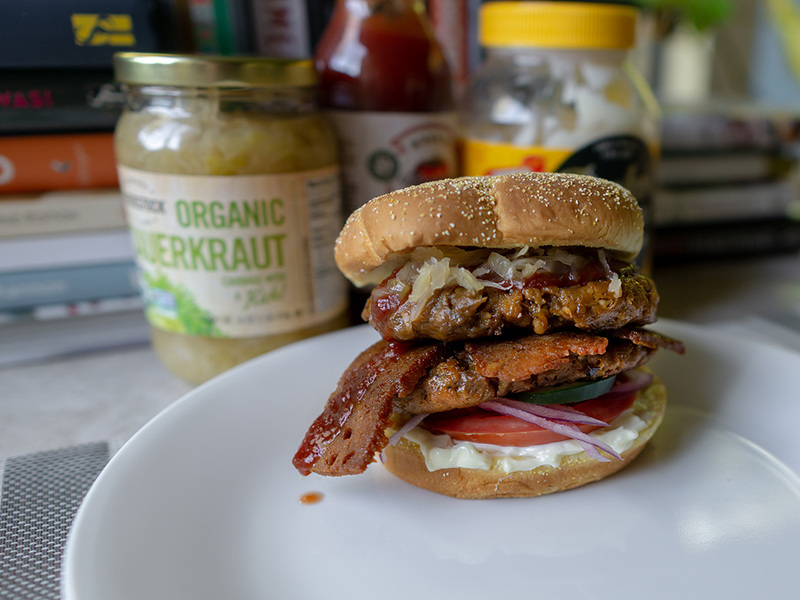 With 25 grams of protein per patty, these burgers compete admirably with some of the better known vegan burger names. 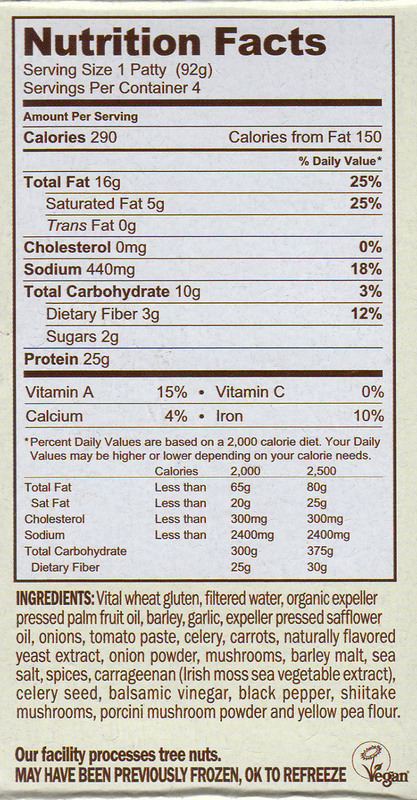 That said, that flavor does come with a fair whack of saturated fat, more than a McDonald’s regular hamburger in fact. Indeed slap two of these on a burger as I’ve done below, and you’ve got more calories and fat than a Big Mac. How much do Field Roast FieldBurgers cost? 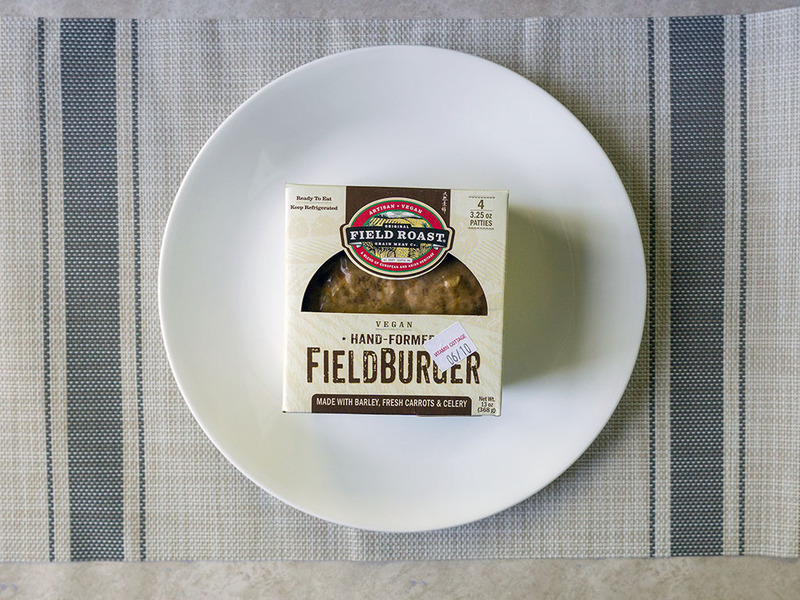 I paid $6.95 for these FieldBurgers at my local Natural Grocers. I just bought them for the first time, they were on sale at Mejers. They are awesome. 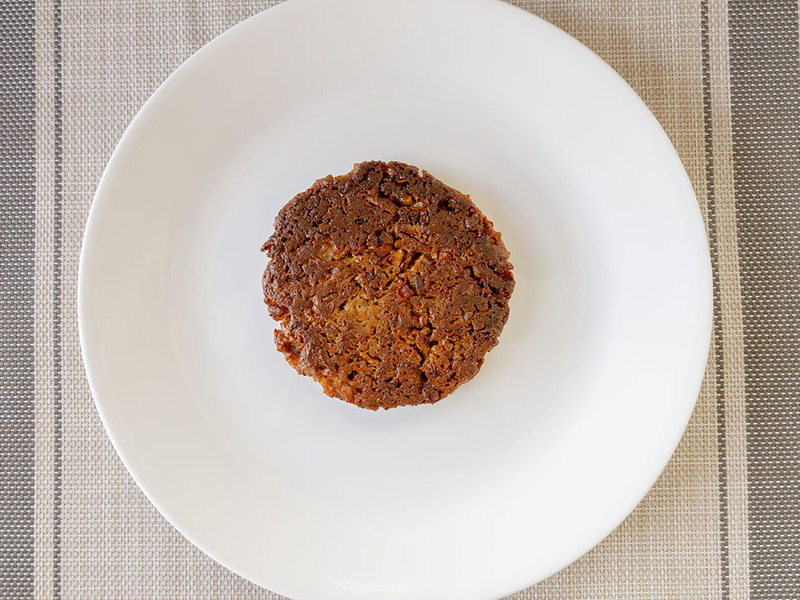 Taste great and the texture is very crumbly hamburger consistency but holds together great. Since they were on sale I went back and bought them all.